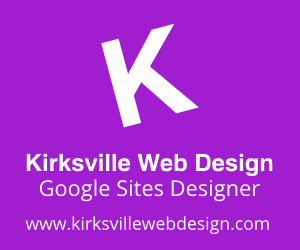 Kirksville Web Design is announcing to launch of a new website: www.poweredbygooglesites.com. 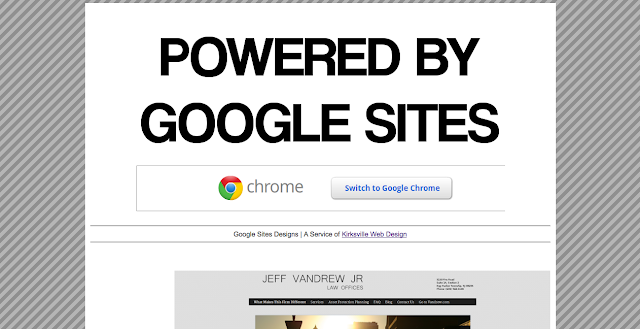 The mission of this website is to propagate and promote designer websites creating using Google Sites. I have journeyed to all sorts of Google Sites websites and found stellar examples and sadly, many duds. However, if we can let the light shine on the wonderful websites developed by some talented graphic arts, designers, and hobbyists, Google Sites will go places. So join me as I publish entries and look forward to submissions. This is an excellent opportunity to showcases incredible work pushing to potential of Google Sites. Criteria for selection will be based on style, information architecture, and creativity. If you'd like to feature it, here my site: http://bit.ly/ehtvsite From what people have asked me, they have a hard time believing its a google site.